Altadenan Paul F. Johnson (1874-1946) “made a name [and his fortune] in the realm of temperature regulation, the Johnson system being one of the best known in the country, and the company has offices in nearly every large city in the world.” Johnson’s father “invented thermostat heat control but his son invented perfections of it, including important adjustments"(Pasadena Star News, November 14, 1917). 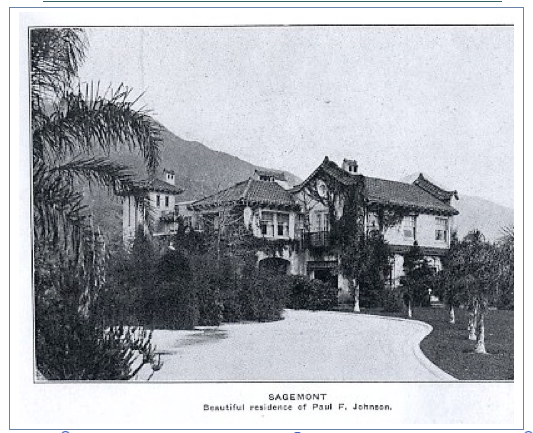 Johnson built his dream home, Sagemont, in Altadena, on 14 acres near the corner of Maiden Lane and Rubio Canyon Rd. 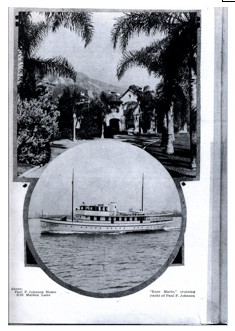 Altadena Chamber of Commerce in 1926. 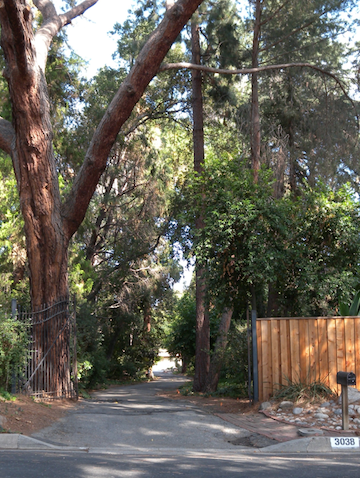 The driveway gates are all that remain of Sagemont, along with giant trees that still shade the site of the historic “ranch,” now dotted with an array of mid-century homes. 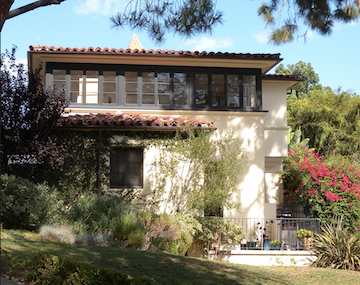 Johnson built another house, still standing at the corner of Maiden Lane and Dolores Road, for his son Seymour Johnson, who subdivided the property sometime after 1934. 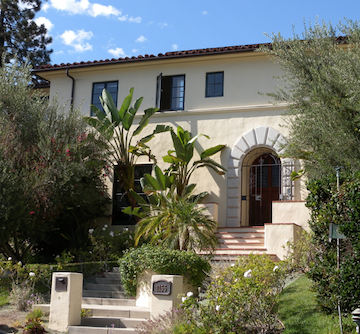 The house was purchased and restored a few years ago.